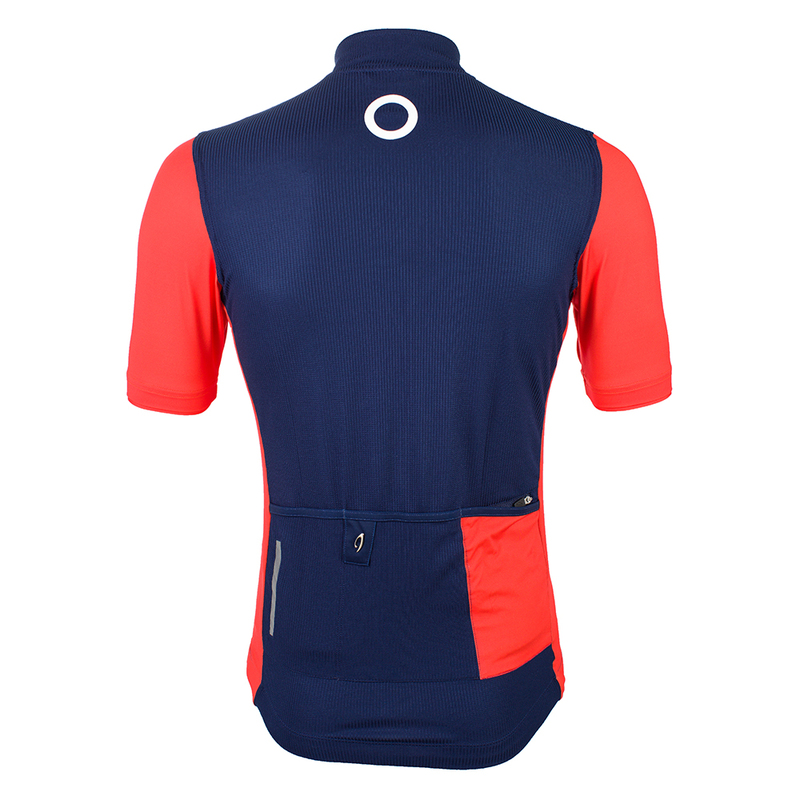 The Pelotan Isadore Climbers Jersey was produced in partnership with the premium cycling clothing manufacturer, Isadore. Together we have combined technical fabrics and cutting-edge clothing design with our stylish appearance to create a slick, light, comfortable and beautiful cycling jersey that will keep you cool and help with the cultivation of your razor sharp tan lines. This is a limited edition jersey, with limited numbers. The Pelotan Isadore Climbers Jersey is a super-breathable, lightweight merino jersey that protects you from the sun whilst perfecting the look. 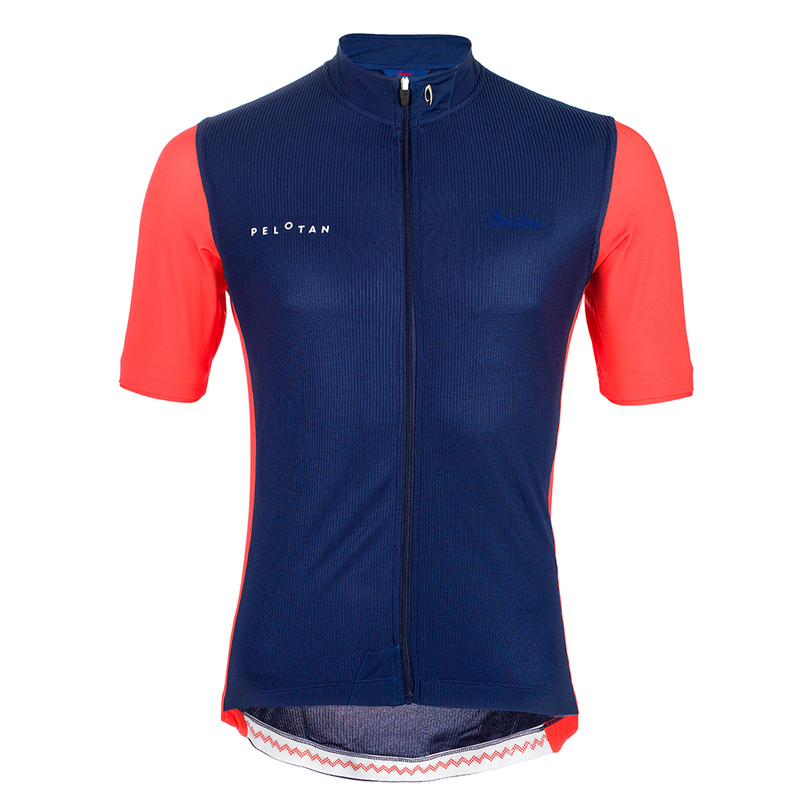 Benefitting from Isadores expertise and experience in materials technology the Pelotan Climbers Jersey will keep the body temperature balanced when it’s hot outside. The jerseys Merino fibres naturally absorb UV radiation, shielding unprotected skin from the dangers of direct sunlight keeping you safe in the saddle, all day. Made from a lightweight Merino bi-component material and lightweight Lycra (23% Merino Wool / 77% Polyester) combined with ultra-lightweight lycra (14% Elastane, 86% Polyester) sleeves and side panels.